The Power of Now Summary - Many of us spend our time either trapped in the regret-filled past or anxious about a future we cannot hope to control. The Power of Now Summary – Many of us spend our time either trapped in the regret-filled past or anxious about a future we cannot hope to control. Yet at the same time, we also cling to the hope that we can somehow improve our lives, become happier and find enlightenment, even though we have no clear idea of how to do so. 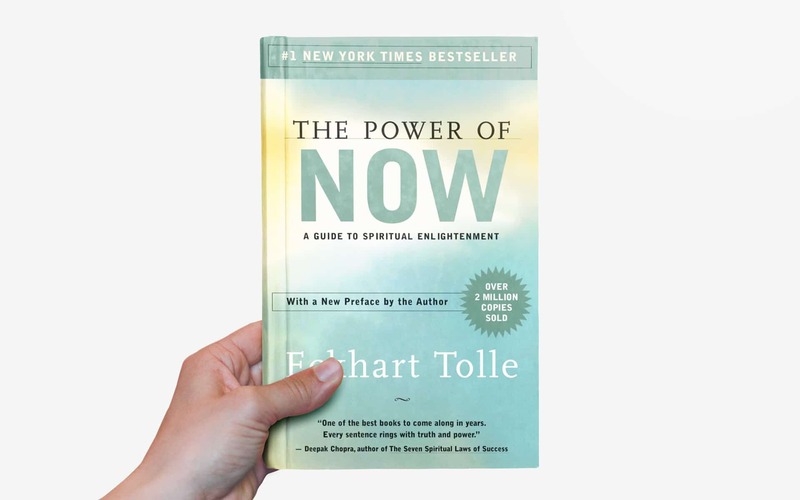 Enter The Power of Now, in which bestselling author and renowned spiritual guide Eckhart Tolle provides readers with several methods for navigating the complex terrain of their inner lives and their relationships to the past, present and future. At the heart of Tolle’s (very practical) philosophy is an emphasis on living in the present moment as a way to avoid most of the pain that we usually experience. To this end, the book focuses on the connection between the mind and suffering, offering a variety of perspectives on the numerous self-destructive ways that we use our minds – for example, to trap ourselves in cycles of suffering and stop ourselves from being happy. The Power of Now has helped millions of people to improve their lives, including their relationships with others, and, crucially, to increase their sense of self-esteem and fully engage with their lives. By focusing only on the present – and ignoring the past or future – you can greatly improve your life. Many of us want to find inner peace and improve our lives. We’re seeking – in a word – enlightenment, yet we don’t know which steps to take to find it. Well, the first step may be easier than you imagine. We tend to live in the past and in the future. One moment we’re reminiscing or regretting, the next we’re planning or worrying. Meanwhile, we neglect the one moment that is fully available to us: the present. Only the present is important because nothing ever occurs in the past or future; things happen only in a continuous stream of present moments. Whenever you feel something, that feeling is experienced in the present, because your senses can only give you information about this specific moment. So when we say that something happened in the past, that’s not quite true: it actually happened in a single, present moment. Indeed, what we call “the past” is really a collection of once-present moments that have passed. Likewise, “the future” is made up of present moments that have yet to arrive. As this suggests, there are no advantages to worrying about the future or dwelling in the past, but there are many to living “in the now.” If you manage to achieve that, you’ll experience no major problems, just small ones that can be dealt with as they arise. For example, a challenging task, like writing a scientific paper, often seems too large and complicated to be achievable. If you’re anxious about the work that’s remaining, or regret missed opportunities to work on it in the past, you’ll get nowhere. But if you just solve one little problem after another – gathering the data, developing a structure, writing the first chapter – you’ll accomplish it more easily. So try to live in the present! Stop clinging to the past and stop fearing the future, and you’ll see how dramatically your life will improve. A part of you needs the pain to survive, and it creates most of the pain you experience. Let’s say you manage to live in the present and to not worry about the past or future. What happens when you then experience pain? If the pain is felt in the present moment, how can you deal with both physical and emotional suffering? Pain is nothing more than a self-created inner resistance to external things that you cannot change. You experience pain when you are unsatisfied with how things are, yet don’t feel powerful enough to change them. This manifests itself, on an emotional level, as a negative feeling. Because you think so much about the past and the future, but can live only in the present, you have no means to change many things that you’re unhappy about. So you develop an inner resistance to the way things are – which you experience as pain. Another aspect of self-created pain is the “pain-body”………….